Spring is just around the corner, which means I will be doing some spring cleaning when it comes to my beauty routine. Although I will probably still wear vampy lippies and nail polishes from time to time, I am ready to whip out some more pastel shades and spritz on some more floral scents. I’ll be doing more in depth spring beauty posts, but at the moment this is a snippet of some of the products I am looking forward to using. 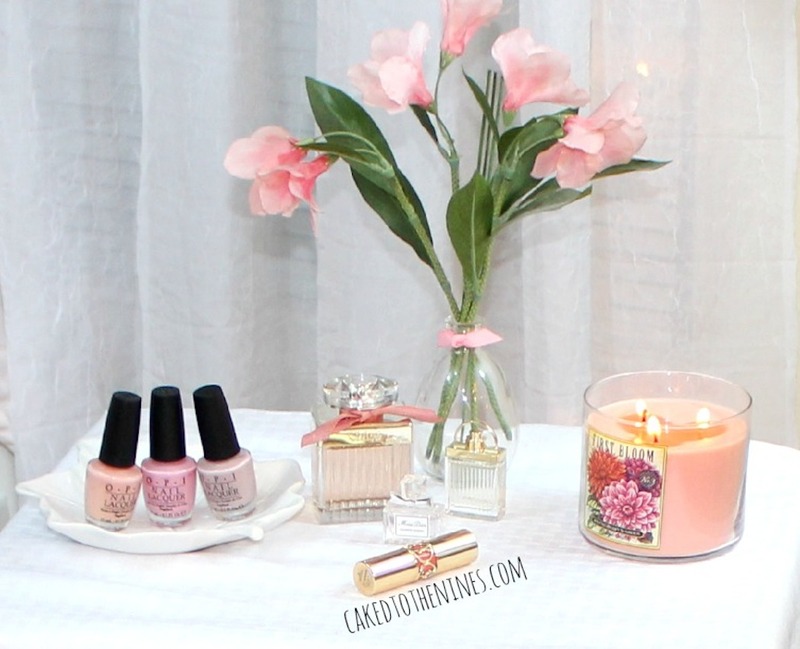 The Nail Polish| During the springtime I enjoy wearing pastel or muted nail polish shades on my nails because I think they look quaint and clean. I also think they flatter me more than bold hot pink or coral shades. OPI’s nail polish formula is my favorite so the three nail polishes I will be heftily wearing this spring are Passion, Pink Friday (which unfortunately was limited edition and launched with the Nicki Minaj collection a few years back), and My Very First Knockwurst. OPI nail polish names are also so cute that I just can’t resist. If they ever need a new hire for naming their nail polishes, hit me up! The Perfume| Floral scents are by far my favorite year round. I don’t really switch up my scents that much, but these three perfumes are pretty knew to my collection and I’ve only had them for a few months. This winter I tried to wear more “wintery” perfumes so I haven’t really worn these three. So, I am really excited to dust these three off and start wearing them. Shocking, I know, but all three have floral notes to them. If you enjoy delicate floral scents then I would check out Roses de Chloe, which shockingly smells more like roses. Chloe Love Story contains orange blossom oil and jasmine among a few other notes so this is very feminine and sophisticated. Miss Dior Blooming Bouquet has orange essence, pink peony, rose and white musk so it is also floral, feminine, and romantic. Plus, all three bottles are just so cute. I can’t resist! I got Love Story and Miss Dior as point perks through Sephora, but once I run out of them I will definitely invest in a full sized bottle even though they’re pretty pricey (insert the infamous Kim Kardashian crying face here). The Lips| For the lips, I am a bit more uptight and stick within my usual lip colors. Personally, I don’t really think soft colors and pastel shades look good on me so I don’t own many “spring/summer” lip products. I tend to stick to matte nudes with mauve or brown undertones and dark vampy lips, but I am trying to venture out a bit more. The YSL Rouge Volupte lipstick in number 13 Peach Passion is something out of my comfort zone, but I am trying. I do like this shade and the packaging is to die for. My tube did break, which I don’t know why because I don’t use it often and it sits on my vanity. But, when I twist the product up it will not twist back down, which is a big bummer considering it was so expensive. Nonetheless, I just use a lip brush with this and apply a light layer for a little bit of color, and I generally dab some translucent powder on top to really mattify it. What products will you be dusting off and incorporating into your spring beauty routine? Let me know in the comments below!